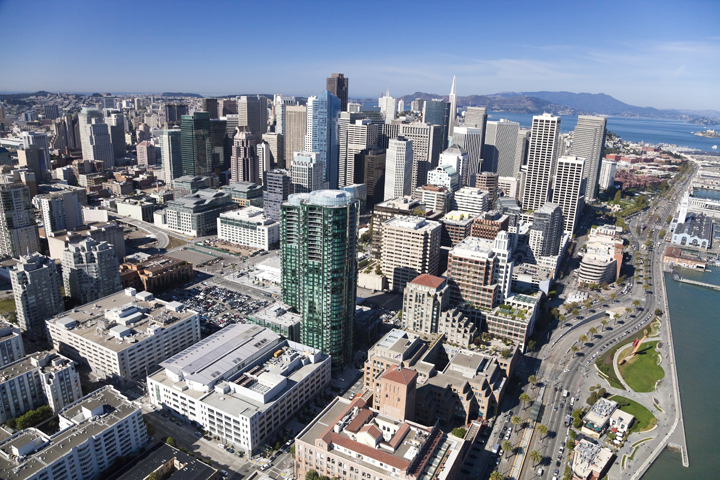 SF CRE News: Increase in Office Sublease Space – Sign of "Tech Wreck" or Corrective Adjustment? | Calco Commercial, Inc.
SF CRE News: Increase in Office Sublease Space – Sign of “Tech Wreck” or Corrective Adjustment? While some San Francisco real estate observers worry a sizable increase in office space available for sublease may signify a potential property “tech wreck” in the works, others view an increasing amount of available space as more of a corrective adjustment that’s creating some benefit. According to a report from Cushman & Wakefield, the amount of office space being subleased in San Francisco, including the Financial District and SOMA, jumped from 1.3 million square feet in the third quarter of 2015 to nearly 1.7 million square feet in the fourth quarter. By the end of February, that number had climbed to 1.9 million square feet. As of March 21, 2016, JLL reports that this type of sublease availability has climbed to 2.28 million square feet in San Francisco. About half of the space available for sublease is coming from technology companies, according to the JLL and Cushman & Wakefield reports. That translates to 45 of the 138 subleases in San Francisco, or close to 1.1 million square feet. And while 41 percent of companies gave contracting or consolidation as their reasons for subleasing space, 26 percent cited relocation inside the San Francisco city limits, while 22 percent are moving all or part of their businesses out of the city, according to Cushman. Colin Yasukochi, director of research and analysis in the San Francisco office of CBRE Group, the Los Angeles-based commercial real estate firm, said the subleasing trend became especially notable late last year, coming mainly from the tech sector. The reasons are varied. Yasukochi said he doesn’t regard the current inventory of subleased space—which covers all grades of office space, but mostly A and B—to be an excessive amount. According to his research, Yasukochi said the amount of subleased space in downtown San Francisco has jumped from 1.1 million square feet in October to 1.7 million square feet in March. Unlike other observers, who predict that figure will grow substantially by year’s end, he is not quite as certain of that outcome. JLL’s figures tell a similar story today. Five of the largest eight sublease spaces are already in some form of discussions for the space to be subleased. Those top five available spaces are Charles Schwab’s 305,502 square feet at 215 Fremont, Dropbox’s two spaces at 185 Berry for a total of 212,000 square feet, Bingham McCutchen’s 98,000 square feet at 3 Embarcadero Center and Yahoo’s 60,000 square feet at 343 Sansome, which was just subleased to Airwave, a drone software platform company. If all these negotiations result in a new tenant, that would drop the available space to 1.6 million square feet, a 30 percent drop from where we are today. One thing to note, however, according to JLL’s report, is that 43 of the 138 available spaces came to the market in the last month, a 45 percent jump in absolute number of spaces. Some of this space includes nearly 25,000 square feet from Medium at 760 Market, nearly 34,000 square feet from Zenefits at 303 2nd Street, 18,000 square feet from Riverbed at 680 Folsom and 11,000 square feet from Box at 100 1st Street. Asking lease rates for Class A office space downtown being offered directly from landlords averages about $76 per square foot annually, a figure which grew 14 percent in the fourth quarter of 2015, Yasukochi said. Though it would depend on the condition of the space being subleased by another tenant, asking lease rates would likely be about $65 per square foot annually this spring, he added. “If it’s in good shape and there’s lots of interest in it,” Yasukochi said of space at those rent levels, which are reflective of the 10 to 15 percent discounts being offered. Drew Arvay, senior vice president in the San Jose office of Cushman & Wakefield, said he’s aware of the glut of space available for sublease in San Francisco, but said it’s a different dynamic in Silicon Valley—or cities in Santa Clara, San Mateo and southern Alameda counties. It even goes by a different name. On the other hand, Arvay said some of the Valley’s largest tech giants that occupy millions of square feet of office space might keep a few hundred thousand square feet empty for anything from storage to future productive use when they expand operations again. But Silicon Valley companies are offsetting the downsized workplace trend by continuing to hire employees by the thousands, so they are reluctant to shrink their office footprints too substantially. Arvay said Gensler, the San Francisco-based architecture, design and planning firm, has dubbed Silicon Valley companies as the most efficient users of work space. “That’s not to say we are immune from having surplus space that could be available for subleasing, but this is still a different situation from downtown San Francisco,” he said. He added there is another dynamic at work in Silicon Valley and elsewhere in the corporate world over the past three years since Yahoo Inc. CEO Marissa Mayer famously ended her company’s popular work-from-home policy for employees. Both Clark and Yasukochi said they see another potential storm cloud on the horizon for San Francisco employers: the possible decrease in VC funding, mainly affecting the tech sector.